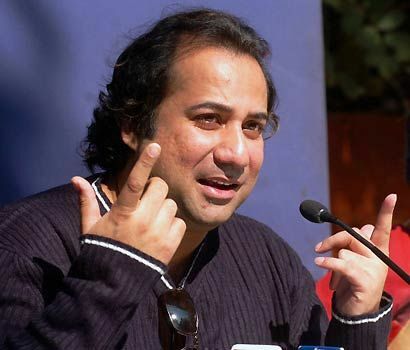 Pakistani singer Rahat Fateh Ali Khan and Grammy-and Academy Award winner AR Rehman are joining forces for the soundtrack of musical starring long-awaited Hindi film Ranbir ‘Rockstar’ Kapoor and Nargis Fakhri in the lead roles. The film is a dream project of director Imtiaz Ali. The “Rockstar” album will have 6 tracks. According to Rehman, ‘Rockstar’ is a character driven film and as anyone can guess from the title, much will guitar. The music is very different vibrations. Indian singer AR Rehman has also previously worked with Pakistani singers Nusrat Fateh Ali Khan and Shiraz Uppal.